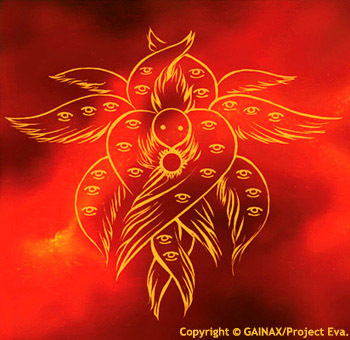 The fact that the so-called "White Moon," created by Adam, was identical to the Nerv geo-front (Black Moon, created by Lilith) implies that it's unlikely that Lilith was a late addition to Anno's plans. Shin-seiki wrote: For myself, I find it hard to swallow, that Anno himself didn't know the answer of who this mysterious "someone" was, when he had Rei pose the question in #14. It's an ambiguous point, because the name "Lilith" doesn't come up until #24, but I think the whole Rei/Kaworu-Lilith/Adam deal was contemplated from the beginning. I think he was just deliberately saving it as a big, mind-bending revelation for the end of the series. That doesn't touch on Lilith at all though. I believe Anno would have intended Rei to have some connection to the Angels (what else could it be? ), but not Lilith until later. Reichu wrote: In the grand scheme of things, that what I thought it referred to... That she was the subject by which an alternative means of creating an Eva was tested. Doesn't have to. If I was developing something like an Eva, I would do a prototype, basic tech only, just to try the concept. I would then make a proper version. One to test the whole thing. I would then make production models. Obviously by the end of the series its been decided what Test Type really means, but I have my doubts that Anno had that decided by Ep 1. Reichu wrote: but that hardly explains why Adam would be in a state that we later discover is due to the creation of an Eva. If you follow my meaning, anyhow. Would depend. Remember that 01's creation wasn't originally in the series, it was added later. Its not impossible that the scene was a result of Anno deciding that Lilith had some roll to play. Likewise the regeneration scene only appeared after Ep 24 was made. I'm aware of the budget, but we're not talking about an incredibly complex scene, and it was only Ep 22 at the time - the budget wasn't critical then. The EVA-01/Lilith connection was only made and inserted into the redone eps after Ep 24 was filmed and Lilith made her debut. It doesn't explain why "Adam" has no legs, but it's something to consider. Maybe it was simply to show how LCL was produced? The same is true of other Lilith related scenes. The "White Moon" scan was added for Ep 21'. I can't imagine the budget was so bad they couldn't add that one still image the first time. Likewise the statement of Angels being from Adam, and humans from Lilith was inserted later - contradicting a statement that Adam was the first human, Maybe Anno originally only intended one SoL? Lilith scenes all appear to be made after Ep 24. Nate the Monkey wrote: The fact that the so-called "White Moon," created by Adam, was identical to the Nerv geo-front (Black Moon, created by Lilith) implies that it's unlikely that Lilith was a late addition to Anno's plans. White Moon was added in Ep 21' as I recall. That was after the series. I haven't watched the Broadcast versions in ages, but I don't believe it was there. Reichu wrote: In episode #08, Kaji smuggled Adam's embryo to Nerv HQ in Japan and presented him to Gendou for safekeeping. Subsequently, Gendou had Adam implanted into his right hand, which we only see in episode #24, but could have happened much earlier (impossible to know, since Gendou always has those gloves on). It wasn't until the second time I read your rsponse that I clicked upon the little linky with the picture of Gendo's hand. I'd just like to take the time out from the thread topic to say... Ewww! You have a warped mind! Back on topic to ask another (related) question: You say that Shogouki was produced from Lileth. I was aware of this. I believe that it is the case that later Evangelions were created from Adam. I could be wrong, but it would seem that at least Nigouki was created from Adam as Kaoru was able to control it so easily. Since Adam only resurfaced in Episode 8, was Zerogouki also created from Lileth? If not, it's hard to see how Nerv gained access to Adam. My gut tells me that she was created from Adam, and not Lileth, but I've been wrong before. Soluzar wrote: It wasn't until the second time I read your rsponse that I clicked upon the little linky with the picture of Gendo's hand. I'd just like to take the time out from the thread topic to say... Ewww! You have a warped mind! Well, Gendou's the one who implanted a giant embryo in his right hand! Anything warped that I come up with automatically takes a back seat to that. Back on topic to ask another (related) question: You say that Shogouki was produced from Lileth. I was aware of this. I believe that it is the case that later Evangelions were created from Adam. Well... Shogouki has the best of both worlds. According to my theory, anyway -- which tries to make sense of the fact that EVA-01 is associated with Adam, as all Evas are, AND Lilith -- she's a 'regular' Eva who was created using Lilith's body, as opposed to however they created the others. I don't think it's out of the question that samples were taken from Adam when he was first being studied by the Katsuragi Team and "exported" from Antarctica before things went to hell. There's one thing that supports the idea that it was Lillith (sp?) all along. She had always been bleeding, and not out of her side, if you know what I mean. Brigitanastasia wrote: There's one thing that supports the idea that it was Lillith (sp?) all along. She had always been bleeding, and not out of her side, if you know what I mean. Well, guess because a giant marshmallowy thing on a cross is suffering from Eternal Vaginal Bleeding, it doesn't necessarily have to be Lilith... I've long suspected Adam to secretly be a she, in spite of the name. Reichu wrote: Well, guess because a giant marshmallowy thing on a cross is suffering from Eternal Vaginal Bleeding, it doesn't necessarily have to be Lilith... I've long suspected Adam to secretly be a she, in spite of the name. Suspected? They pretty much tell you that Adam is a female. In episode 24, Kaoru refers to Adam as 'our mother being' or somthing in that vein. The word mother is (I'm 90% certain) a part of it. So, yeah, you are most likely spot on there, Reichu. Soluzar wrote: Suspected? They pretty much tell you that Adam is a female. In episode 24, Kaoru refers to Adam as 'our mother being' or somthing in that vein. The word mother is (I'm 90% certain) a part of it. So, yeah, you are most likely spot on there, Reichu. Kaworu's actual line is "Adam. Warera no hahataru sonzai." Haha is "mother", but I'm not sure what the suffix taru is... I'll try to find out. Any character named "Lilith" would have to be female. Check out this link for the myth of Lilith. And then there's the symbolism of rebirth occuring through "the forbidden union of Adam and Lilith." Come on, people. Atma wrote: Any character named "Lilith" would have to be female. Lilith's femininity was not in question. (Not only does she, ahem, bleed, we clearly see EVA-01 growing out of her from between where her legs would have been. Ahem ahem.) Adam's supposed maleness, on the other hand... Self-impregnating females (parthenogenesis! w00t!) are much better at creating life than males are. And a thought just occurred to me. Reichu wrote: And a thought just occurred to me. Again, that doesn't scream "Lilith". It simply shows that Anno had planned something to fit. As I said, Lilith doesn't crop up till Ep 24, and scenes that really link her with EVA-01 and the White Moon were all inserted after that episode was made. Anno had things planned with Rei, as is obvious, but some things were made up as they went along. Thats what I've read online and what Wigs said during some random chat on Eva's production at Amecon. An analogy (can't remember if I posted this earlier) would be George Lucas and Star Wars. He had the prequels planned from the beginning, he knew rougly where they were going to go. When making them though, he's changed quite a bit from those plans. Sharp-kun wrote: Again, that doesn't scream "Lilith". It simply shows that Anno had planned something to fit. I would like to point out that in cuts #30-32 from the OP, you see: An image of Kaoru, an Image of Rei in front of the moon, followed by the word 'ANGELS'. What could be more obvious? Kaoru and Rei = Adam & Lileth. Without the other evidence to back it up, it would be extraordinarily flimsy reasoning, but coming on top of everything else, I think it firmly cements the idea that Rei's connection to Lileth was planned from the start. Soluzar wrote: I would like to point out that in cuts #30-32 from the OP, you see: An image of Kaoru, an Image of Rei in front of the moon, followed by the word 'ANGELS'. No it doesn't. All that shows is that Rei has some connection to the Angels (which is all Anno could really have done). It is also of some minor note that in the end, Rei isn't an angel. Lilith is (depending on context), but Rei herself is not. If Lilith was decided upon from the beginning, why no mention of her before Ep 24, or stuff like the White Moon? The "surprise" argument is flawed, as Anno later went back and inserted stuff into earlier episodes that refers to her. Sharp-kun wrote: No it doesn't. All that shows is that Rei has some connection to the Angels (which is all Anno could really have done). It is also of some minor note that in the end, Rei isn't an angel. Lilith is (depending on context), but Rei herself is not. Context? I presume that you mean that in a context outside of NGE, such as the mythical Lileth who was the first wife of Adam? Other than that, if we remain entirely within the bounds of NGE, I honestly don't understand how Lileth could be seen as not an Angel. Your point that Rei is not an Angel, but merely has the soul of one has a certain logic to it, but I trust then that you would apply the same reasoning to Kaoru. Following this logic to it's natural conclusion, if Rei is not an Angel, then nor is Kaoru. We never did see what 'blood type' Rei had, did we? Sharp-kun wrote: If Lilith was decided upon from the beginning, why no mention of her before Ep 24, or stuff like the White Moon? The "surprise" argument is flawed, as Anno later went back and inserted stuff into earlier episodes that refers to her. I would only remind you that Reichu has already pointed out that without Lileth, there would be no second angel. Presuming that Adam was the first, then there has to be someone to fill in the gap. We only saw Sachiel and Shamshel - we were told about Adam. Don't get me wrong, I'm not big-headed enough to believe that I must be right - I am perfectly well aware that a lot of TV shows are written on-the-fly, week by week. Soluzar wrote: Context? I presume that you mean that in a context outside of NGE, such as the mythical Lileth who was the first wife of Adam? I believe Sharp-kun was referring to the two 'definitions' of "Angel": The first being whatever the hell Seele decides to list under its numbering scheme, and the second, more concise one being Adam and ... her offspring. Reichu, please don't expect the rest of us to suddenly start refering to Adam as "she"; it will just cause confusion. If you're going to do so, at least use scare quotes. 1 - beings born of Adam, as said several times in the series. Lilith does not fit this. 2 - Whatever suits NERV, such as Lilith. This context seems to be more to decieve people, and stop them asking awkward questions. Soluzar wrote: I honestly don't understand how Lileth could be seen as not an Angel. Beings originated from the source of life called Adam. They take various sizes and shapes: from a giant octahedron to a minute Angel the size of bacteria, or even a "shadow" Angel without tangible form. Borrowing Fuyutsuki's words in episode 26', it seems that Angels are beings which got the "Fruit of Life" whereas humanity got the "Fruit of Wisdom". In other words, "Angels" are another form of humankind with the same potential as humans. Thus, humans are the 18th Angel. See the problem with Lilith? She is not born of Adam, as is said in Ep 24'. By the seemingly correct definition of "angel", she is not one. Soluzar wrote: but I trust then that you would apply the same reasoning to Kaoru. No, as he is actually born of Adam in a sense, and says so himself. Soluzar wrote: if Rei is not an Angel, then nor is Kaoru. Soluzar wrote: I would only remind you that Reichu has already pointed out that without Lileth, there would be no second angel. This is faultly logic. Lilith is the seond angel as Anno decided to make her so. He had not created Lilith, he could just as easily have stuck something else in there instead. Early hints about something are not hints about Lilith when looked at without the benefit of seeing the final episodes. They hint at Rei having some angel connection, that there is some missing angel. They don't say anything about a second SoL, nor is there anything until Ep 24 (or, depending on your version, the inserted scenes in Ep 21', 22' and 24'). All scenes refering to 2 SoL's were added after Lillith's entrance. Soluzar wrote: Presuming that Adam was the first, then there has to be someone to fill in the gap. We only saw Sachiel and Shamshel - we were told about Adam. Once you've seen the series its obviously Lilith, as Anno wrote her to fit (which she pretty much does other than at least one line from Gendo), however if you were to take every line that references something, and look at them without having seen the ending, they could point to anything. Ritsuko: Analysis of pattern: blue. It's an Angel, no question. Fuyutsuki: An Angel? You let an Angel get inside? Misato: Abandon this Box. Evacuate. Misato: What are you doing? Hurry! * Misato pulls Ritsuko along with her. Female Operator: Separating Sigma Unit from B Floor. All partitions closing. Everyone within the area is to evacuate. Long Hair: S-- stopping the alert, sir. government and the Committee so. Long Hair: Y-- yes, sir. Glasses: The contaminated area is still descending. Fuyutsuki: It is on the critical place. Gendou: Yes. It is too close to ADAM. Shin-seiki wrote: Reichu, please don't expect the rest of us to suddenly start refering to Adam as "she"; it will just cause confusion. If you're going to do so, at least use scare quotes.